– Why hasn’t this ended yet? – Why can’t we cut off the supply from the drug cartels? – Why can’t physicians just stop prescribing opioids? – Why do people keep using? Don’t they know it can kill them? Substance use is not a new concept. Humans have been using substances since the beginning of the human race as a way to cope, relax and seek pleasure. Living in a modern age brings new challenges with our humanity as many people (especially teens) are finding more harmful ways to temporarily or permanently avoid fear, anxiety, guilt, shame, vulnerability, insecurity and any level of pain. It also brings the message that humans aren’t allowed to feel pleasure or comfort in a safe and healthy way. Lack of education and misinformation has fueled these risk factors. Prevention through knowledge is key. What you don’t know – especially when it comes to substance use – can be harmful to you and those you love. 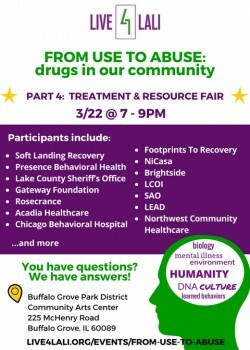 In that spirit, we have developed a multi-part series to educate you on the role substance use plays in our lives. Throughout the series we will work our way through the spectrum, from use to abuse to dependency to addiction. 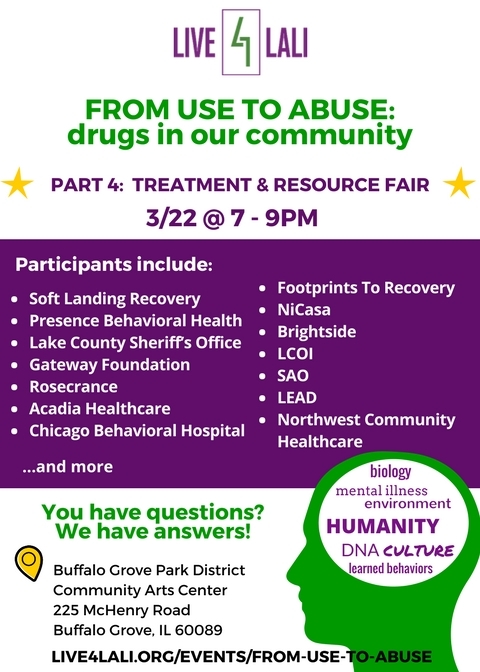 Our dynamic panelists will provide their experiences and expertise to convey real life complexities and simplicities which contribute to substance use, including the misunderstood connection between mental health and substance use disorder (dual-diagnosis). We will also recommend strategies for you to utilize immediately with yourself, your family, your friends and in your community. It’s never too late, too uncool or too chaotic to learn about this incredibly important topic. Join us!